Now available in a Limited Edition Skinwall. 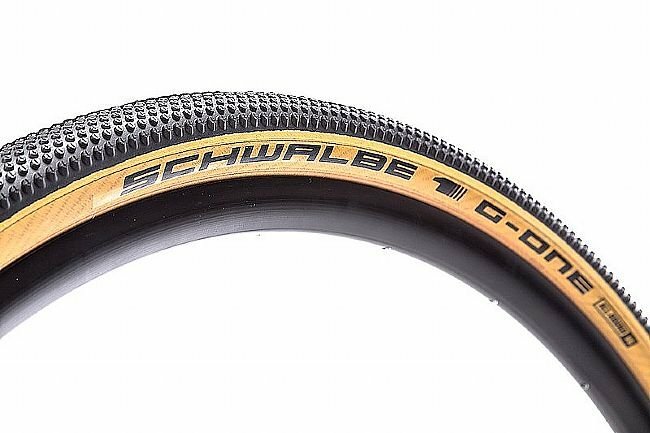 Schwalbe's G-One Allround Gravel Tire stays on top of rough terrain with a larger volume and low-profile knobs. 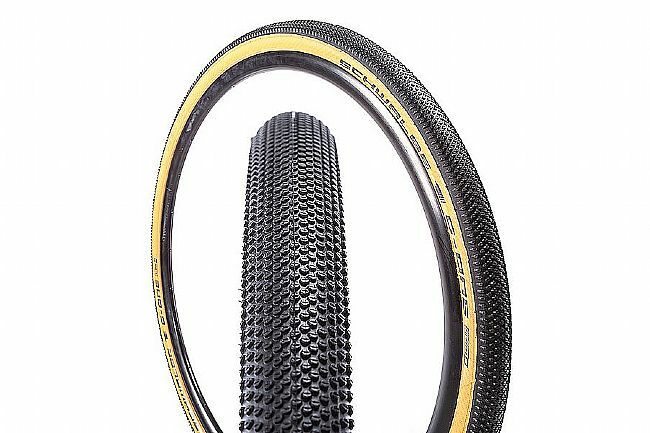 The OneStar triple-compound rubber provides excellent grip and longevity, which is only enhanced by Schwalbe's MicroSkin technology. The G-One's casing features a vulcanized high-tensile micro fabric on the backside that creates an airtight seal, even at high pressures. It also has the benefit of adding more cut resistance all around, letting the G-One stand up to even the harshest adventure terrain with ease. Available in 700 x 38mm. 127 EPI casing. Claimed weight is 420 grams. 4 of 32 customers found this review helpful.